Welcome to the multilingual Yearbook Express! The Express features the chapter introductions of recent Yearbooks, along with the report of the Secretary-General on the work of the Organization in those years, in all six UN official languages. 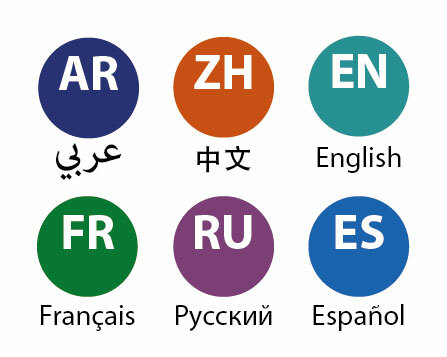 Start your journey by clicking on one of these languages! 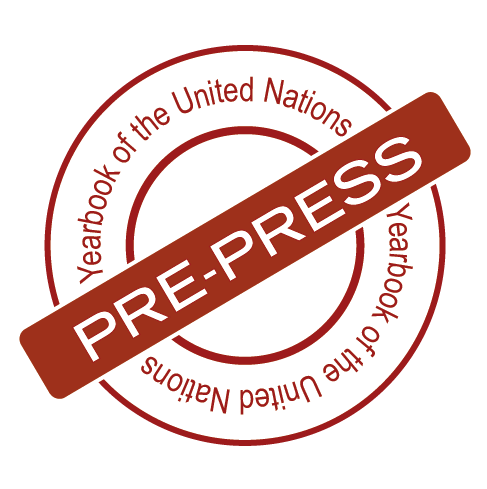 The Yearbook Express is currently available in all UN official languages for Yearbook volumes covering the activities and concerns of the United Nations beginning in 2003. Work is underway to produce further editions of the Yearbook Express based on prior Yearbook volumes covering 2002 and earlier. Work on the 2012 and 2013 Yearbook Express is also underway. Apart from the annual reports of the Secretary-General, the Yearbook Express does not feature United Nations official translations. To provide speakers of all UN official languages (Arabic, Chinese, English, French, Russian and Spanish) with summarized Yearbook content, the Yearbook Unit works with teams of translators engaged through the United Nations Volunteers Online Volunteering service. If you would like to contribute to United Nations volunteer work, please consult the opportunities available through the United Nations Online Volunteering service website. 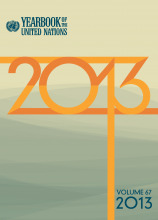 The Special Edition of the Yearbook of the United Nations: UN Fiftieth Anniversary, 1945-1995, captures through narrative and key historical documents the major issues and highlights of the first fifty years of United Nations history and provides a context for present and future challenges. Areas addressed include international peace and security (including the questions of Palestine, Korea, the Congo and the Suez Canal); development and strengthening of international law; disarmament; decolonization; and economic and social progress, along with the protection of human rights and the eradication of poverty. The concluding section of the volume projects the foreseen imperatives of the Organization in the coming century based on the mandates of significant world conferences. In the Foreword to the volume, Secretary-General Boutros Boutros-Ghali expressed the hope that the Special Edition would "foster knowledge of the United Nations history, pride in its achievements and courage to take up and to master the challenges to come".